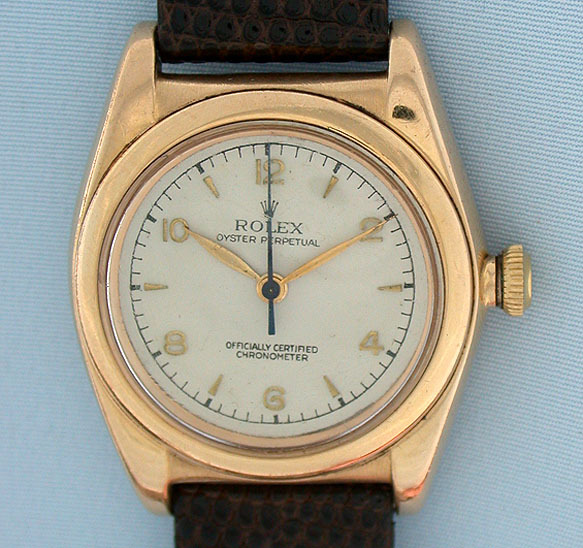 Rolex 14K gold reference 3131 Bubbleback vintage wrist watch circa 1949. 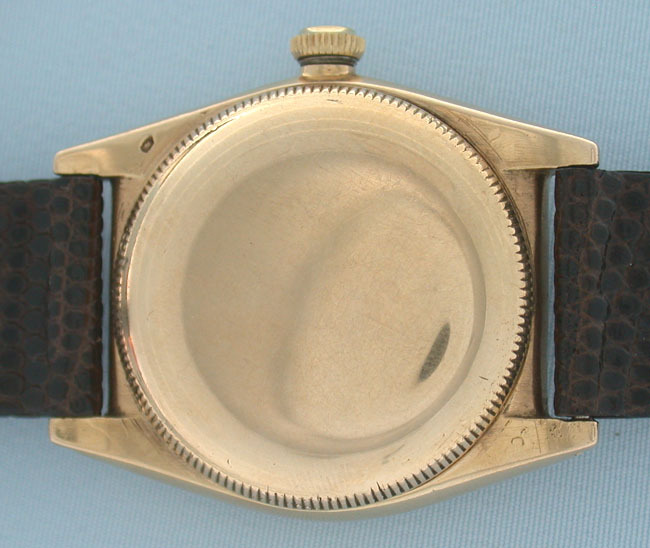 Possibly refinished silver dial with applied gold numerals and markers and gold and blued steel hands. 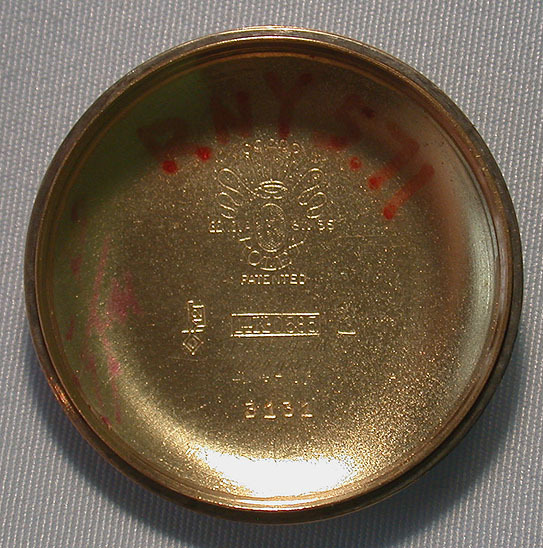 Original crown. 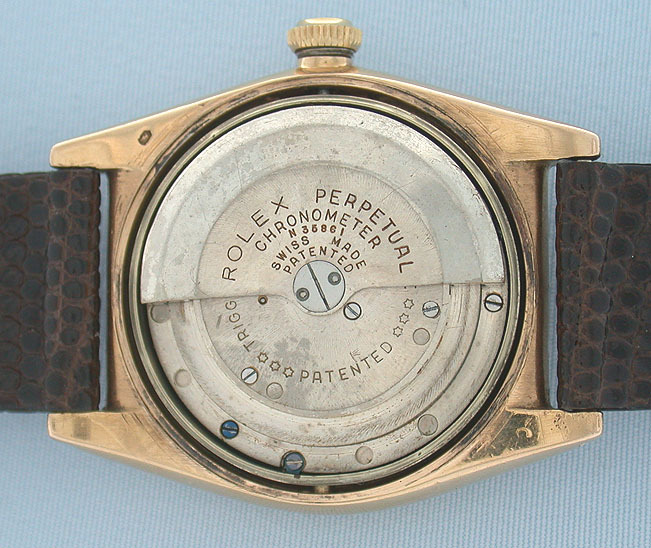 Automatic 18 jewel movement.